Dining with a spectacular sunset view out over emerald green waters accompanied by warm sea breeze, could there be an even more enchanting setting? For more information, send us an enquiry by clicking the "ENQUIRE" button or call us at + 60 (4) 959 1888 ext. 717. 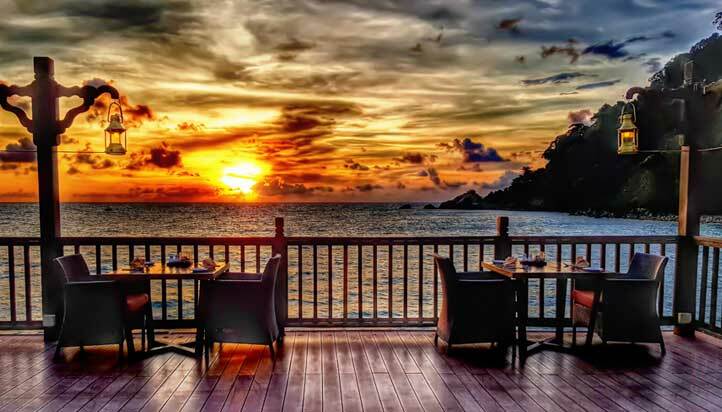 Experience our ‘Enchanting Sunset Dinner’ with your loved ones for an unforgettable moment @ Pahn-Thai Restaurant. Karong Berkunci 200, Burau Bay, 07000 Langkawi, Kedah. By subscribing you have agree to the Terms & Conditions.